Justices will hear oral arguments on the free speech issue at 10 a.m., Wednesday, Jan. 18, in Washington, D.C.
Portland's Asian rockers The Slants will get their day in court this month when the U.S. Supreme Court hears the band's trademark case. Justices will hear oral arguments in the 'Lee v Tam' case at 10 a.m., Wednesday, Jan. 18, in Washington, D.C. The court agreed in late September to hear the case. At issue is whether the Portland band can claim First Amendment protection for its name that the U.S. Patent and Trademark Office thinks is a racial slur. It's the legal pinnacle of a seven-year battle with the trademark office. Attorneys for the band say the issue is protecting free speech. The trademark office argued that the word "slant" falls under the immoral, disparaging or scandalous clause, preventing The Slants from trademarking their name. The Slants — new drummer Yuya Matsuda, vocalist Ken Shima, guitarist Joe X. Jiang, and founder/bassist Simon Tam (whose stage name is Simon Young) — are an Asian-American dance-rock band that has been together for more than a decade. The band's original trademark request was rejected in 2010 because the name was considered a disparaging term. A second application was rejected in 2011. In December 2015, the band prevailed in U.S. Court of Appeals for the Federal Circuit, giving The Slants the right to register the name. The Patent and Trademark Office petitioned in April 2016 for consideration by the Supreme Court. 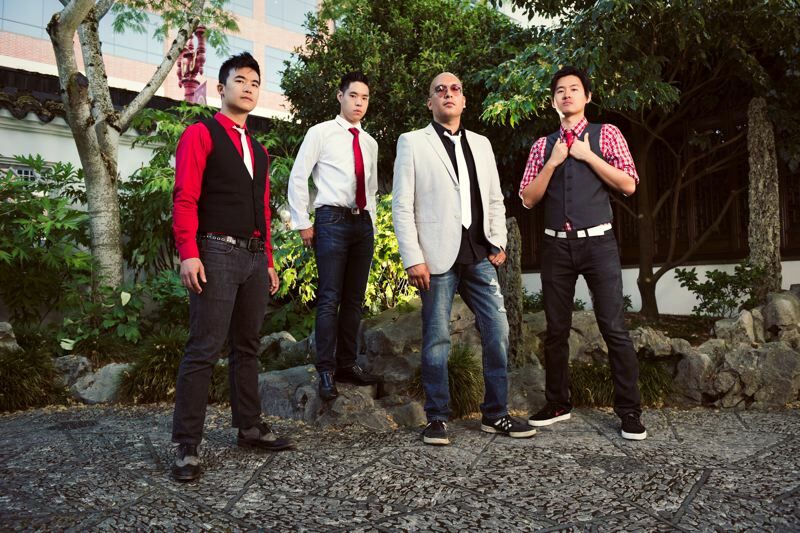 Nearly three dozen "friend of the court" briefs have been filed supporting The Slants. Among them is a 64-page brief filed by Pro-Football Inc., piggybacking The Slants case for the Washington Redskins' NFL team, which lost its trademark protection because the team name was considered disparaging. Another was filed by the First Amendment Lawyers Association of Nevada, which works with the adult entertainment industry. The Slants have scheduled several appearances and concerts in the Washington, D.C., area prior to the Supreme Court hearing. A rally and concert are also planned in the afternoon of Jan. 18, the day of the court arguments. The band is also preparing to tour in support of its new album, "Something Slanted This Way Comes."